Why buy new when slightly used will do? Especially if you get an industry first 7 Star Guarantee. You will save money on our great line-up of "like new" equipment from top manufacturers like Microboards and Primera. 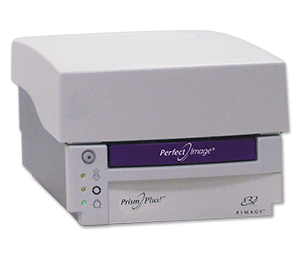 Disc printers and duplicators at bargain prices. We back up everything that we sell. Want to check out our references? No problem, we are happy to provide them. We want to be your CD / DVD duplication equipment partner! All of our pre-owned and refurbished systems carry a return to depot parts and labor warranty. Warranties range from 60 days to 1 year depending on the system. In many cases we can offer extended service options for an additional fee. All warranty work is performed in our Minneapolis, Minnesota office. Customers are responsible for shipping to Techware, and we pay the UPS Ground shipping and insurance back to you as long as you are located in the lower 48 states. If your equipment fails during the warranty period, we will print up to 300 CDs or DVDs per day for free while your system is in our repair shop. The printing is free, you provide the disc media or purchase it from us at a discount. Get free lifetime phone support on any printer and/or duplicator purchased from Techware. A live person will answer all phone calls between 8am and 5pm Monday - Friday CST. We have been in the CD/DVD printing and duplication equipment business for over 20 years and have a wealth of knowledge and experience to keep you up and running. We offer a 15 day return policy for full store credit if you do not like the system or if it is not fitting your needs. All you need to do is call us within 15 days of your purchase, ship back the system using the original box and packaging, and pay any shipping and insurance costs back to Techware. You will get full store credit minus any shipping charges. We professionally clean, test, align and update all system, printer and drive firmware to the latest version available. We also thoroughly test all equipment with actual CD and DVD production runs to make sure all components are functioning perfectly. Techware's Guaranteed Fit Program ensures the disc duplication/printing system purchased from Techware meets your individual needs. We will help you determine the right system for your needs before you purchase a system and enjoy the added comfort of knowing that if the duplicator you purchase does not meet your needs you can exchange it within 15 days. Simply call 1-800-295-0083. Worried about outgrowing your DVD / CD equipment purchase? Want to upgrade from an inkjet to the latest digital thermal printer? No problem. Techware specializes in system upgrades and trade-ins on most Rimage, Microboards and Primera duplicators and printers. What makes us different from the rest? We use the same equipment that we sell on a daily basis in our professional CD/DVD production room. We also have demo, pre-owned, and refurbished equipment options in addition to brand new systems from Rimage, Microboards and Primera. 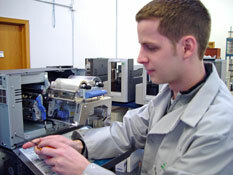 We have trained repair staff that will save you time and money on CD / DVD duplicator and printer repairs and service. And if your equipment does breakdown during an important project, we can help by running your job for you.